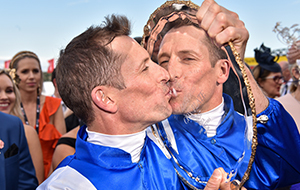 The precocious colt delivered a first Group 1 success for his regular partner Jordan Childs, son of legendary jockey Greg, when running away with this year’s Ladbrokes Blue Diamond Stakes. 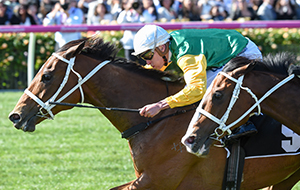 It was also a first victory at the elite level for Grahame Begg since the trainer moved his operation to the picturesque Pinecliff property on Melbourne’s Mornington Peninsula. The riches on offer over the Spring Racing Carnival now beckon for this son of Written Tycoon, Victoria’s champion sire for the past two years.